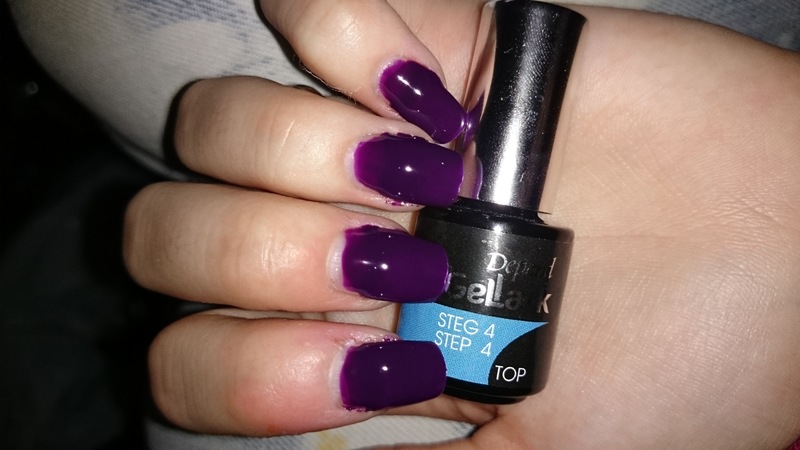 I was in town again today and picked up a purple gel polish instead, and decided to try using the kit to make nail extensions. The colour was different from the swatch at the store though. The last picture is the one that best shows the colour. The other ones are taken with a flash. Before I began. 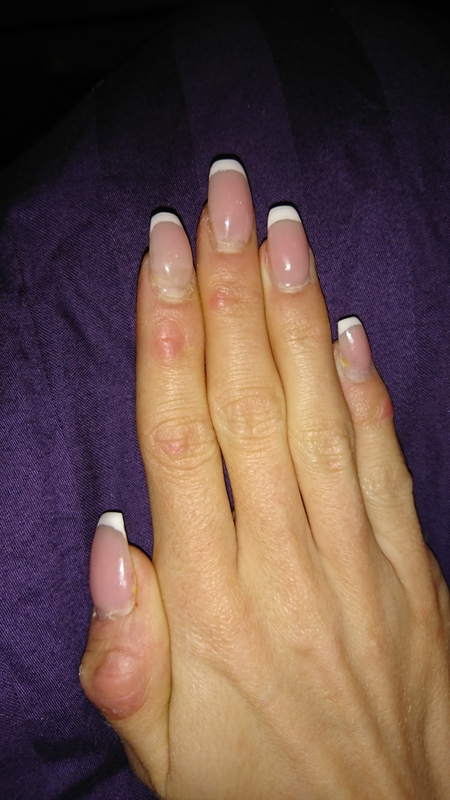 This was the length and look of my nails. The first thing I did was glue on the tips. 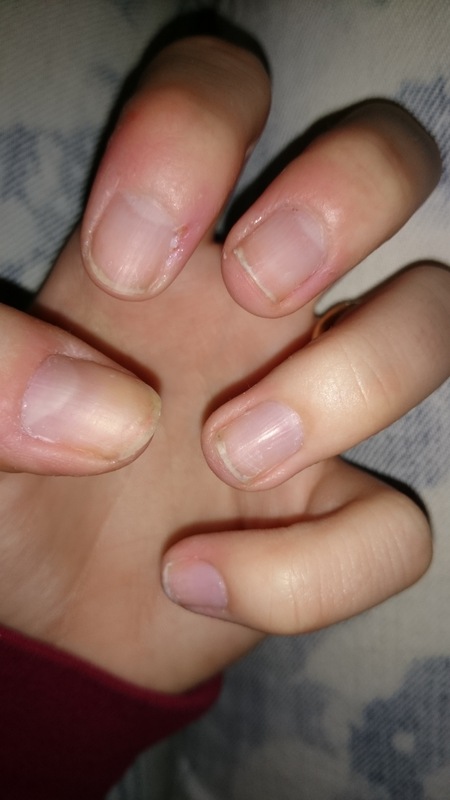 I decided to keep the entire length of these tips since they are around the length I like to keep my nails. 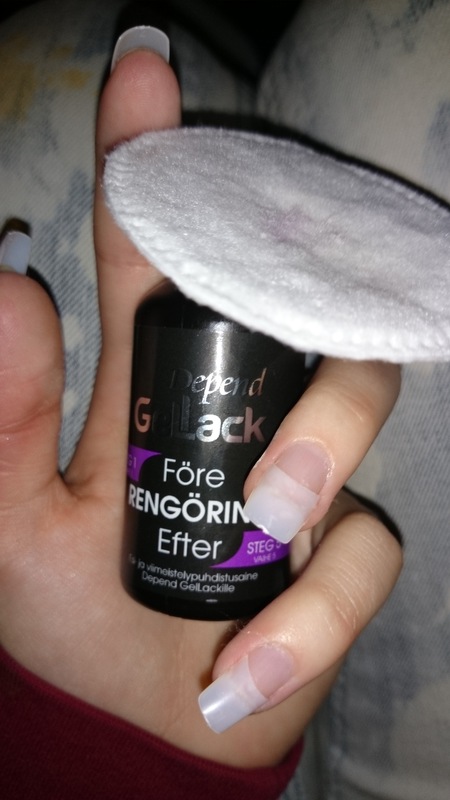 You start with using the before/after cleaner to clean the nail do the gel will stick. 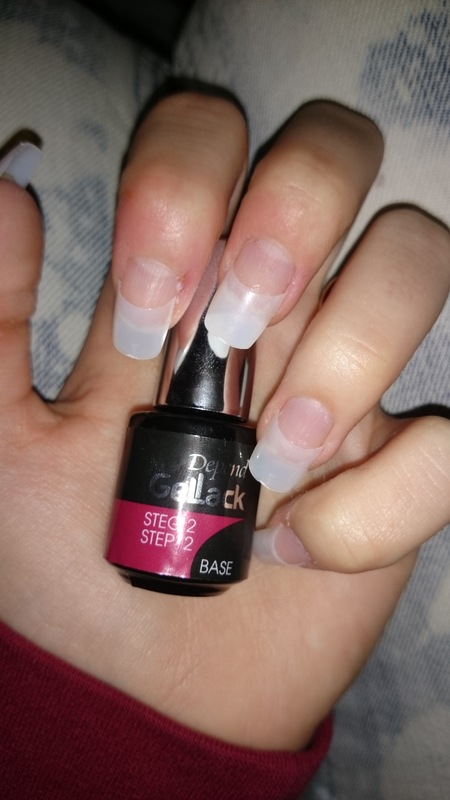 After that, add one picture of the base gel. Cure in the lamp for 30 seconds. 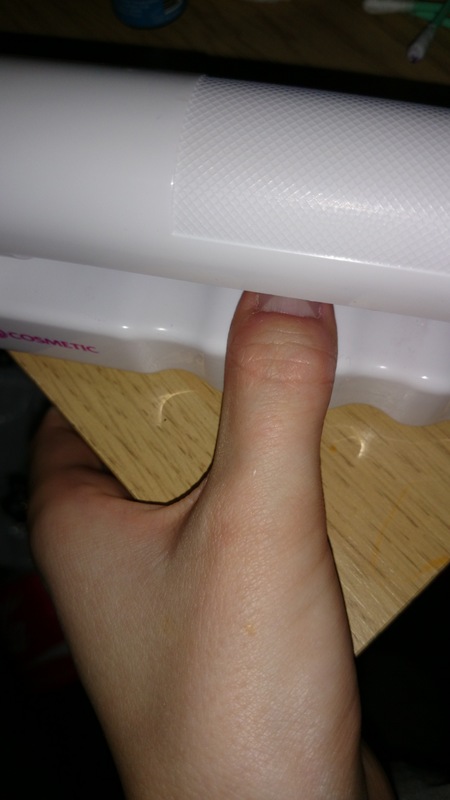 Do 4 fingers and the thumb separately. I prefer finishing the fingers completely and then do the thumb. Add two layers of colour gel, curing for 30 second each. This is after the second layer. 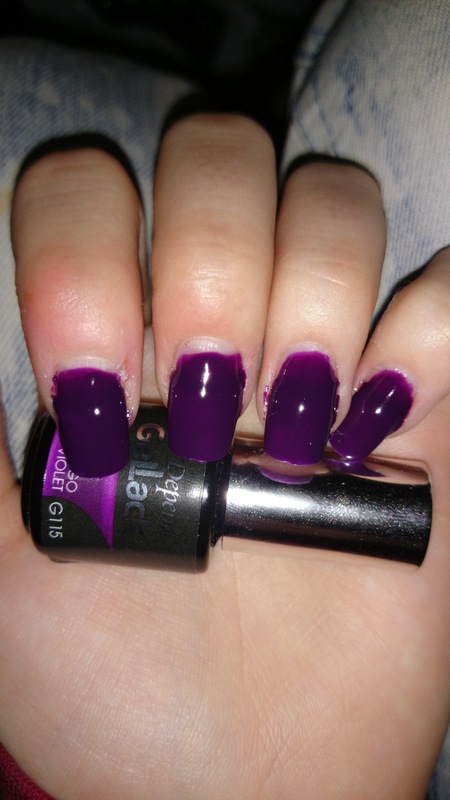 Then you add one coat of top gel and cure for 30 seconds again. After that, use the.cleaning solution again to remove the sticky residue and bring out the shine. 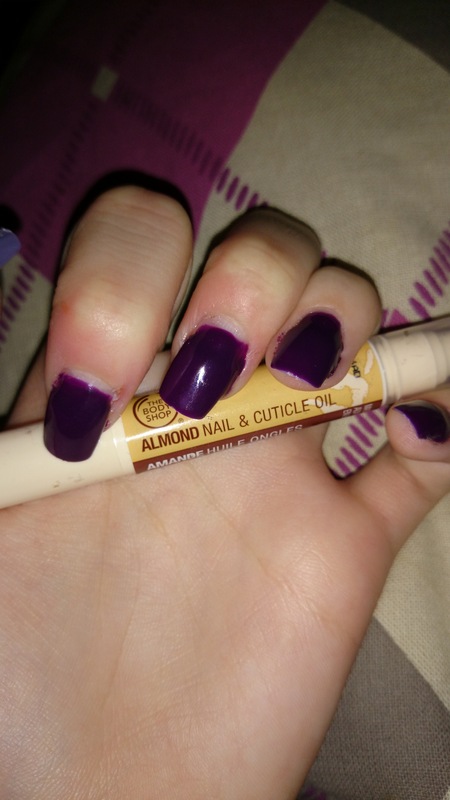 After that, add cuticle oil. 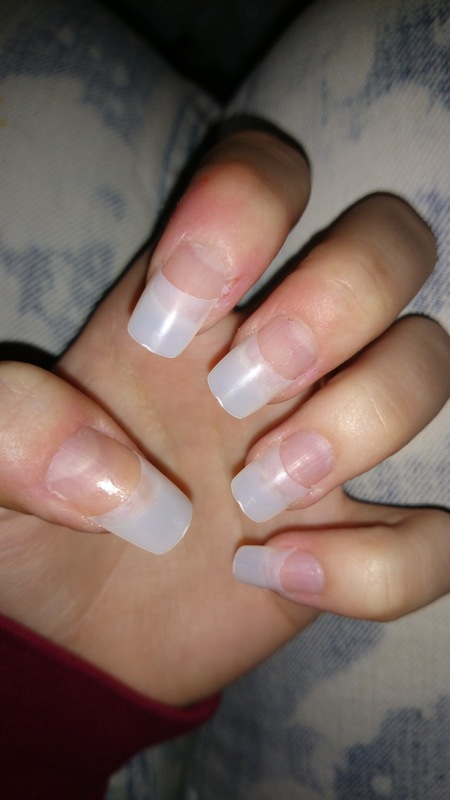 While having gel nails you should do that once a day. This is the picture that best shows the colour and the result. The other pictures are lighter and shows that little edge from the tip way more than reality. Remember that this kit is not made for doing extensions so if you do it you’re doing it at your own risk. I’m having these on now as long as they’ll keep, or until the growing part gets ugly. I might add some gold polish or decorations for valentines though. Right know I’m taking a class in service an selling (sort of) with focus on reception and customer service. So currently I’m having an internship at the reception of a a Choice Hotel in the town I live in. The only thing I can complain about is standing up, 8 hours a day. At the end of the first days I had pain in parts of my feet I didn’t even knew existed. Make sure you have good and comfortable shoes, and if you buy new shoes, walk around in them for a while at home to get used to them before taking them to work. Later in this post you’ll see the two pairs I use. Take care of your feet. Feel tired after a long day and your feet ache? Take a foot bath with some calming salts and end with massaging in a foot lotion. 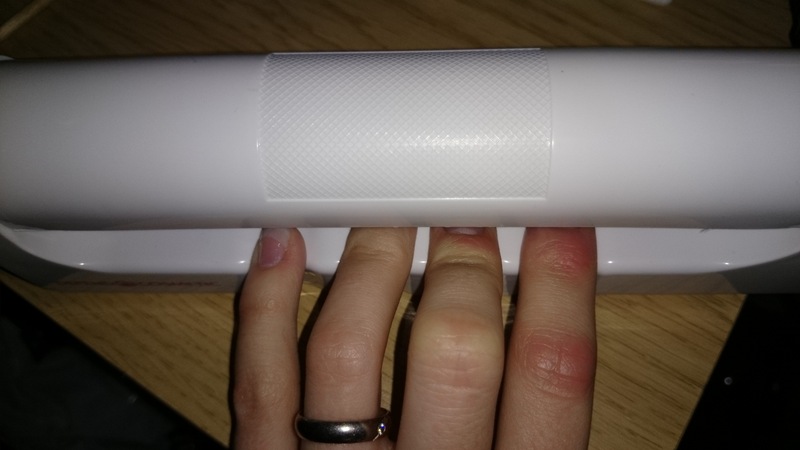 It’s up to you if you want to scrub away the calluses, for some people they actually give more support while standing. Personally, I hate calluses, so be gone! When you get home, sit down and put your feet in a high position to helt eventual swelling and help the blood flow. I recently was introduced to this particular item of clothing, and I’m hooked. A compression stocking is a knee high stocking or pantyhose that helps the blood flow, it presses harder on your ancle than usuall stockings to prevent the upgoing blood from going back down in the foot. I think they work wonders. When you get the chance, even if only for a few seconds. Sit down. The short rest might not feel like much at the moment, but it might help you later in the day. 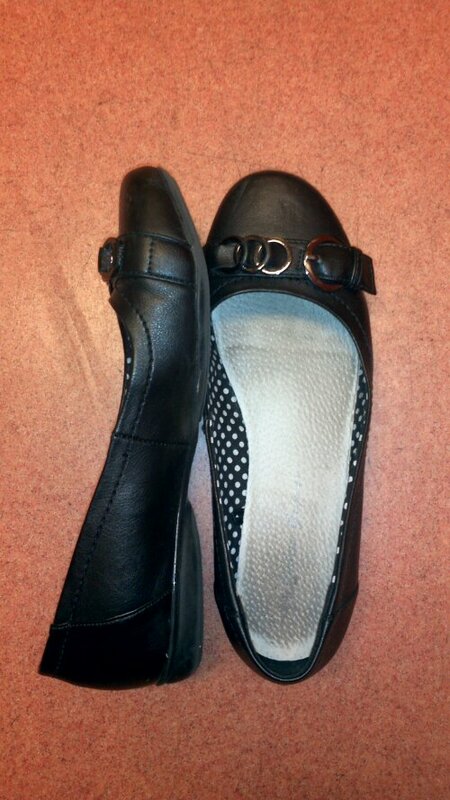 Now, here are the two pairs of shoes I use at work. I used these the first two weeks while I was getting used to standing so much, they might not look it but these are actually soft in the sole. 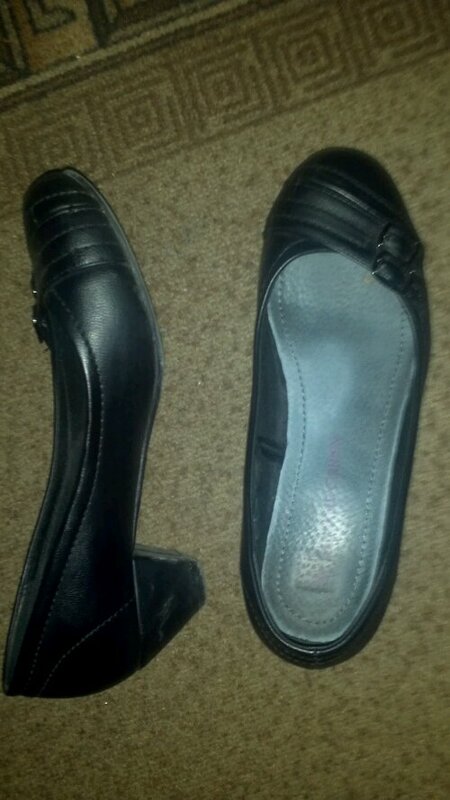 These are the ones I use now, They are comfy, softer than they look and I really like how they look. I usually walk with these to the hotel and back home. I also use these when (if) I’m going outside on the weekends. My latest manicure. 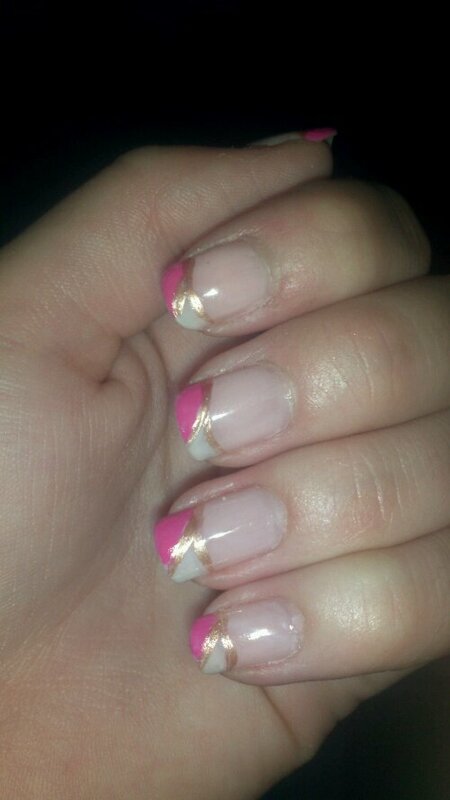 I decided to just use my normal frenh manicure as a base and add a little pink and champagne color to it. Simple and nice. 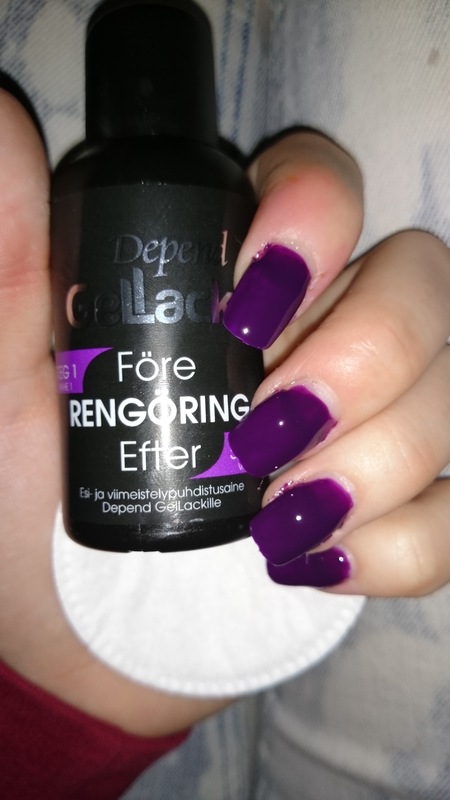 Yesterday I finally hot my hands on a polish I’ve been wanting for a little while. The polish is Mavala’s Peacock Green. I spotted this when I was walking around town and since I’ve been looking for a green polish for what feels like an eternity, I fell instantly. And now it’s mine. 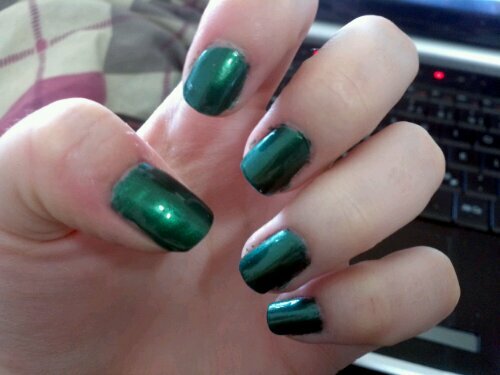 It’s a beautiful shimmery green, it’s lighter than in the picture and looks really good to my skintone. 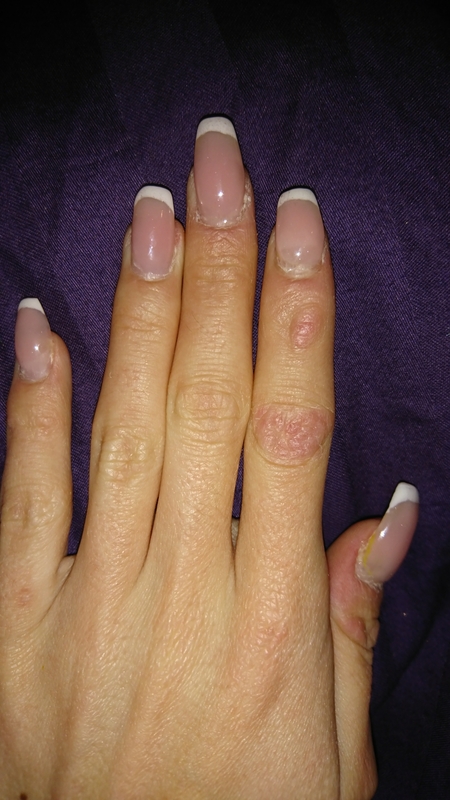 Here’s my new years nails. 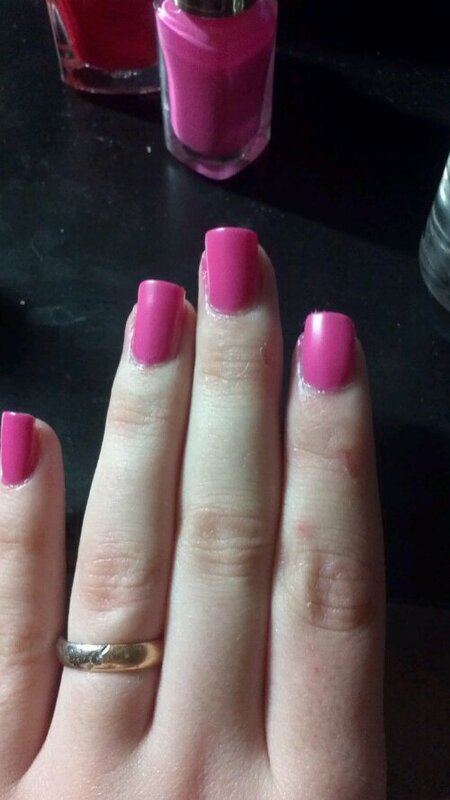 I chose to go with matte Pink. The rest of my look will e up later. I just hope the focus on my compact camera will cooperate with me.